Dr. Janet Stallman graduated from the Texas A&M Health Science Center College of Medicine and completed two residency programs, one at the Texas A&M-Scott and White Memorial Hospital and the other at the University of California Irvine College of Medicine. She is specialized in Pathology and board certified in Anatomic Pathology & Clinical Pathology. 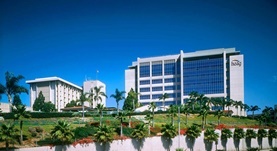 Dr. Stallman has been in practice for more than 20 years and is affiliated with the Hoag Memorial Hospital Presbyterian.